One of the major voices of the spirit of nonviolence is Romain Rolland. He is the symbol of those who would not let war destroy the cultural bridges between peoples, especially during the 1914-1918 World War. Romain Rolland came from a French family with many generations in the legal profession. However, from his secondary school days on, his interest was in music, painting, history, and literature. Early he was drawn to German music, especially Wagner and Beethoven. Later he wrote an important biography of both Beethoven and Handel. He did his university studies at the elite Ecole Normale Superieure, a specialized higher education school which trains university professors. He was in the same class as Paul Claudel who became a diplomat and well-known poet. At university he became interested in Russian literature and started a correspondence with Leo Tolstoy whose ideas he admired. After his studies, he received a scholarship to study in Rome in order to write his doctoral thesis on the history of opera. He also collected information for later articles on Italian painting. On his return to Paris, he started teaching on the history of art and the history of music at the Sorbonne, the leading French university. He wrote a number of plays dealing with the French Revolution and began his collaboration with Les Cahiers de la Quinzaine , a literary journal edited by Charles Péguy, a poet and writer who increasingly wrote on political subjects. Jean-Christophe which came out first in sections over a 10-year period and led to his Nobel Prize for Literature in 1915. In his novel, Jean-Christophe is a young German intellectual, a friend of young French intellectuals. The novel has as its leitmotif that friendship can overcome political divisions such as those created by the 1871 German-French war and the annexation by Germany of Alsace and Lorraine. Romain Rolland had often spent his summer vacations in Switzerland, beginning when he was a boy with his parents. Thus, he was spending the summer of 1914 in Switzerland when the “guns of August” marked the start of the First World War. Because of his age, 48, and his fragile health, Rolland was exempt from French military service. He stayed on in Switzerland to work with a Red Cross-related International Agency of Prisoners of War in Geneva. However, later, his enemies claimed that he was anti-patriotic and had left France for the safety of Switzerland. As he was already well known as a writer and intellectual, he was interviewed and asked to write articles for the leading Geneva newspaper, Le Journal de Genève as well as for the newly created intellectual journal Demain (Tomorrow). He brought these articles together in a book Au Dessus de la Mélée (Above the Battle) though later he thought that “Au-dessus de la haine” (Above hate) would have been the better title. As a result of the war, Rolland decided to stay on in Switzerland and bought a house at Villneuve, the opposite end of the lake from Geneva. The house was in the park of a well-known hotel where the many visitors to Rolland could stay. He lived at Villeneuve for 26 years until 1938 when nostalgic for the area of his boyhood, he bought a house in central France and moved in shortly before the start of the Second World War. It was from Villeneuve that Rolland turned his attention toward India and the contribution that Indian thought could make to a Europe destroyed by its divisions and hates. Thus Rolland turned to the two living Indian thinkers whose contribution he thought crucial: first Rabindranath Tagore and then Mahatma Gandhi. He also wrote books on two related Indian religious thinkers: Ramakrishna and Vivekananda. As Rolland never learned to speak or read English, he had to count on his sister Madeleine who lived in his household much of the time. There is little original in his portraits of Ramakrishna (1929) and Vivekananda (1930) but because of Rolland’s fame, the biographies were widely read and so introduced the two to a wider French-reading public, well beyond the narrow circle of specialists on Indian philosophy. In Rabindranath Tagore, Rolland found a common cultural bridge-builder as well as a fellow Nobel Prize for Literature holder. 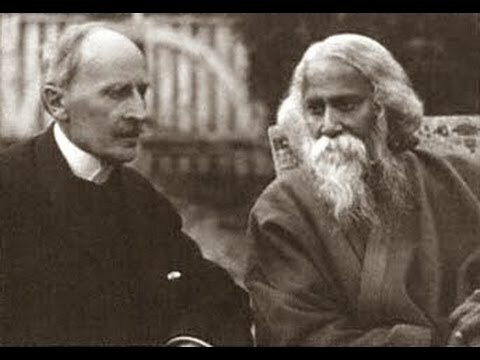 Both Tagore and Rolland saw literature, music and painting as instruments of broad world cooperation and avenues of understanding. In his letters to and discussions with Tagore, Rolland stressed the possibilities for cultural inter-penetration, advising against the imposition of either civilization on the other. Rolland was interested in spiritual and cultural revitalization following the lines of his friend Hermann Hesse and Count Hermann Keyserling. Rolland hoped to introduce Indian thought into the European framework intellectually and morally drained by the 1914-1918 War. Rolland used his influence to promote the translation and publishing of Indian writers in Europe. As with the Ramakrishna and Vivekananda biographies, Rolland had to depend on his sister’s translations to write his 1923 biography of Gandhi based largely on Gandhi’s writings about South Africa, Gandhi’s articles in Young India as well as Tagore’s letters to Rolland which often mentioned Gandhi. Rolland’s short biography, whose subtitle was “The Man Who Became One with the Universal Being” sold well, some 100,000 copies the first year followed by translations into Russian, German and English. On a more personal level, one English reader of Rolland’s biography was Madeleine Slade who asked Rolland to write to Gandhi so she could join Gandhi’s ashram. Rolland did, and Slade, renamed Mira by Gandhi, became a close disciple and served as intermediary between Rolland and Gandhi until the 1939 start of the Second World War when correspondence between India and France became impossible. Rolland’s fragile health prevented him from traveling to India and the only face to face meeting was in 1931 when Gandhi, from negotiations in London went to Villeneuve to meet Rolland. Roland like Tagore represents the broad cosmopolitan cultural bridge-builders we need today. The Pondicherry (Puducheri) City Library is named after Monsieur Romain Rolland.